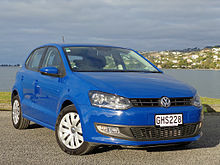 In the 1980s, Volkswagen's sales in the United States and Canada fell dramatically, despite the success of models like the Golf elsewhere.Sales in the United States were 293,595 in 1980, but by 1984 they were down to 177,709. 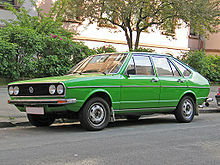 The introduction of the second-generation Golf, GTI and Jetta models helped Volkswagen briefly in North America. 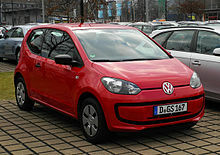 Motor Trend named the GTI its Car of the Year for 1985, and Volkswagen rose in the J.D. Power buyer satisfaction ratings to eighth place in 1985, up from 22nd a year earlier. 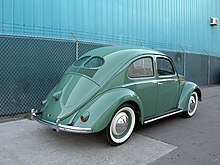 VW's American sales broke 200,000 in 1985 and 1986 before resuming the downward trend from earlier in the decade. Chairman Carl Hahn decided to expand the company elsewhere (mostly in developing countries), and the New Stanton, Pennsylvania factory closed on 14 July 1988. 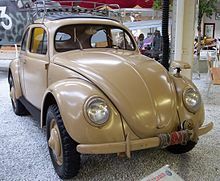 Meanwhile, four years after signing a cooperation agreement with the Spanish car maker SEAT in 1982, Hahn expanded the company by purchasing a majority share of SEAT up to 75% by the end of 1986, which VW bought outright in 1990. 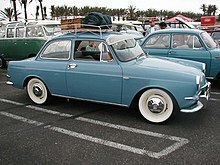 On 4 July 1985, Volkswagenwerk AG was renamed to Volkswagen AG. 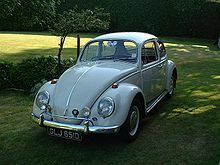 This page is based on the Wikipedia article Volkswagen; it is used under the Creative Commons Attribution-ShareAlike 3.0 Unported License (CC-BY-SA). You may redistribute it, verbatim or modified, providing that you comply with the terms of the CC-BY-SA.